Great alternative to high priced perfume & colognes; as party favors; for fundraisers... or to make a great income re-selling! 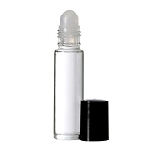 Enter desired quantity of each fragrance in the quantity boxes to the right and Click "ADD TO CART" at the bottom of the list. We carry over 800 fragrances, so be sure to keep scrolling to the bottom! FREE PERSONALIZED LABELS (WHEN YOU ORDER ANY 30 OR MORE STANDARD LABEL PRODUCTS) Top two lines of label can be personalized on orders of 30 bottles or more. Enter personalization text & preferred label color in the comments box at check out. Available label colors; GOLD FOIL, SILVER FOIL, VINYL SILVER, KRAFT, DARK BLUE, LIGHT BLUE, SOFT PINK, HOT PINK, WHITE GLOSS, RED, YELLOW AND PURPLE.